We just completed a really fun installation for Camp Bow Wow Grapevine . It’s a beautiful facility, with a really uniquely designed K9Grass Flushing System. They’ll be able to have 5 different fenced in areas with each yard containing its own flushing system underneath the K9Grass. More pictures of it in action to follow once the GC finishes out the building! “ForeverLawn, the leading synthetic turf company, announced the U.S. Patent and Trademark Office issuance of a patent for their invention to enhance a superior synthetic grass system for dogs. The K9Grass Flushing System (KFS), covered by patent US 9,670,626, incorporates a unique synthetic turf called K9Grass, and combines it with a hidden cleaning and drying system that provides an ideal surface for dog boarding facilities, pet resorts, dog parks, kennels, veterinary facilities, and more. The invention allows for effective indoor use of K9Grass for dogs, and provides exceptional drainage and cleaning mechanisms for dog environments both indoors and out. Dogs. They are just as much a part of our families as anyone else. Which includes cleaning up after them. Interested in making cleaning up after them a little bit easier? Our K9Grass is the best place to start! The possibilities with our K9Grass are endless. A few of our favorite spots are backyards (entirely or fashioned into a dog-run), apartment complexes, as well as pet facilities. We offer two different types of synthetic K9 grass unlike any other. With ForeverLawn’s exclusive flow-through backing, short dense blade structure, and antimicrobial protection, K9Grass is sure to fit your pets needs. Cleaning K9Grass is as easy as 1, 2, 3! Our very own General Manager, Nick Pavey, compares ForeverLawn’s K9Grass against our top competitors! 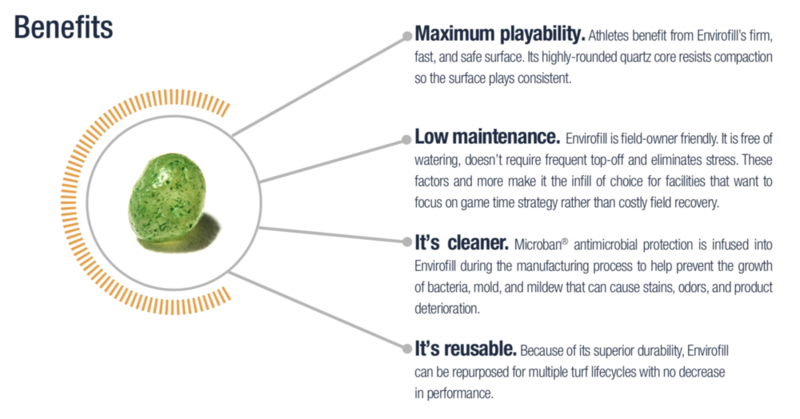 See what makes our turf stand apart from the others. Check out K9Grass for further details and see if this might be the right fit for you and your pup! Local projects will be featured on our Facebook & Instagram this month; be sure to check them out! Our featured project this month is a home we partnered with Texas Land Care for on Euclid. A beautiful backyard where we installed DuPont Select EL and a True Putt putting green. True Putt putting green at the Euclid home with custom flags and brass low-voltage lighting in the golf cups to create a unique nighttime atmosphere. PlayMounds come in many shapes and sizes to ensure many forms of fun! Adding these to your playground will take the fun and excitement to the next level. These EPS foam structures are covered in our turf and seamlessly fit into the landscape and the rest of the area. PlayMounds add an established topographical feature that turns an otherwise unused area into an additional play element. Piece the modular tunnels or hills side by side to create even more dynamic play! We will have booths at two upcoming expos in the DFW area! Welcome to the first ever ForeverLawn Texas blog! We are so excited for this blog to become a monthly staple in our ForeverLawn Texas community. This blog will be used to share product highlights, featured projects, videos and other news we want our community to know about. We have a few new additions to our team we want to introduce. Anna Jackson, a recent graduate from Baylor University, is our new admin and marketing coordinator and the resident SketchUp wizard. She will be the first point of contact for FLTX and the one who creates streamline communication between the customer and the company. Anna will be taking on the blog and newsletter and is excited to keep y'all updated with all the FLTX happenings. Ryan Michael, an upcoming senior at Dallas Baptist University, is our summer intern through the Dallas Fellows program. Ryan is spending his internship focusing on improving our operational efficiencies through six- sigma continuous improvement methods. To start things off, we are excited to introduce ForeverLawn Fusion! After years of research and development, ForeverLawn released our newest landscaping addition, Fusion, a few short months ago. Within the past few months, Fusion has been a hit for many reasons. One of the biggest draws to the product, especially for those living in Texas during the summer, is that it has a high level of heat resistance. With exceptional stability where reflective heat is a concern, ForeverLawn Fusion excels in remaining durable and realistic through extreme heat. Our featured project of the month is the first project we did with Fusion in the backyard. This project was for a Coats Homes home in Highland Park, Texas and turned out great! For this backyard, we used Fusion around the pool and K9Grass for a dog run. The Nylon monofilament has a combination of 3 colors, verde, lime, and tan, to add depth and realism to our turf. The great thing about this turf is the combination of realism and durability, which makes it great for high traffic areas. This home also utilized our K9Grass for a dog run on the edge of their house. K9Grass is great for dog runs because the dogs don't get too hot, and the grass remains as green as ever without sun and water. The cool part about K9Grass is the ability for an irrigation flushing system to be installed so that the grass can be flushed with a enzyme breaking product called Got Pee! injected into the irrigation system. This requires very little maintenance on the homeowners part and allows the dogs to play on fresh and clean grass all the time. Needless to say, we are thrilled the way this backyard turned out! Just like the ForeverLawn products, our installations are unique and innovative. We understand that installing even the best artificial turf the wrong way can make the whole project look bad. We guarantee an installation that will look great and stand the test of time. From the base prep, nailer boards, cutting, seaming, to the securing, finishing, and clean-up... we evaluate every step to ensure your project is a masterpiece. With our premium backing and seaming system, we eliminate the problems often associated with harsh glue-down seams. Our mechanically bonded seams make for a better looking install and one that will not be damaged by expansion or contraction during cold or hot weather. Also, you can rest assured that kids and pets will be playing in a glue-free and chemical-free atmosphere. Even though our state of the art seaming system makes residential do-it-yourself projects easier than ever before, we still would like to recommend utilizing a professionally trained ForeverLawn installation team when available. 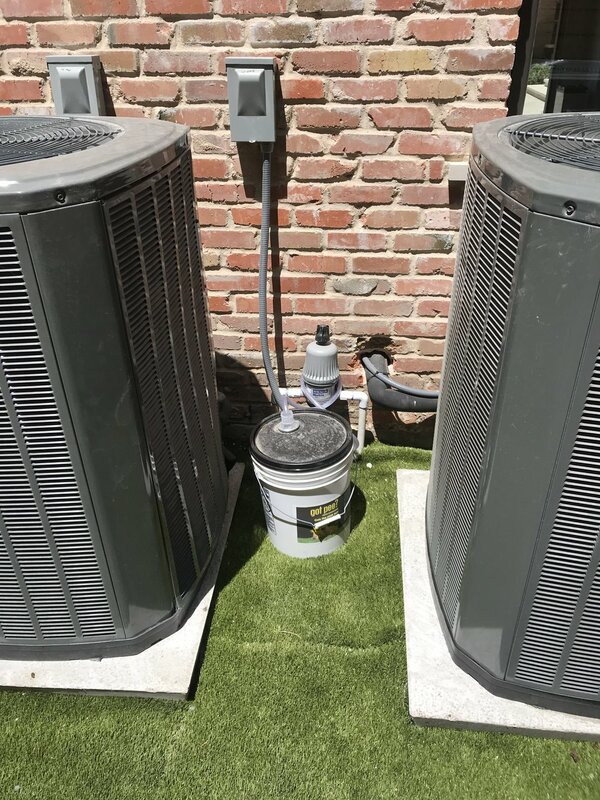 Our installation team takes pride in their work and treats each project with the care and uniqueness it deserves. From specialized tools to years of refined techniques – our knowledge and experience can turn your project into a total success. For those of you committed to tackling your project all by yourself, we have installation instructions available for your review or download below. Commercial projects, sports fields, and playgrounds can be much more involved in the base prep, drainage, and installation techniques. Please contact me with any questions you may have about a DIY project! We understand how important it is for your company or organization to choose responsible, safe, and reputable businesses for private or public projects. ForeverLawn Texas is fully insured, licensed, and locally owned. We take pride in our commitment to safety and quality, as well as our eco-friendly products and installation techniques. ForeverLawn synthetic turf requires zero water to maintain its lush, green, beautiful appearance year-round. The beauty and functionality of our products make them ideal alternatives to natural grass that also save precious water. 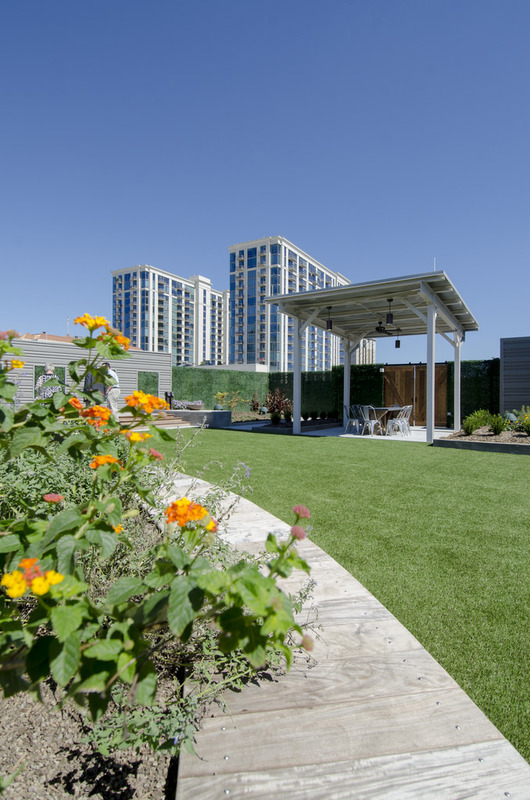 The Synthetic Turf Council estimates that between three and six billion gallons of water were conserved in 2010 through the use of artificial grass. ForeverLawn synthetic grass products help reduce the introduction of chemicals into the environment by eliminating fertilizers, pesticides, and weed killers that are commonly used to maintain natural grass landscaping. With ForeverLawn, a perfectly-manicured lawn can be achieved with no mowing, seeding, or edging, which reduces emissions from lawn care equipment. 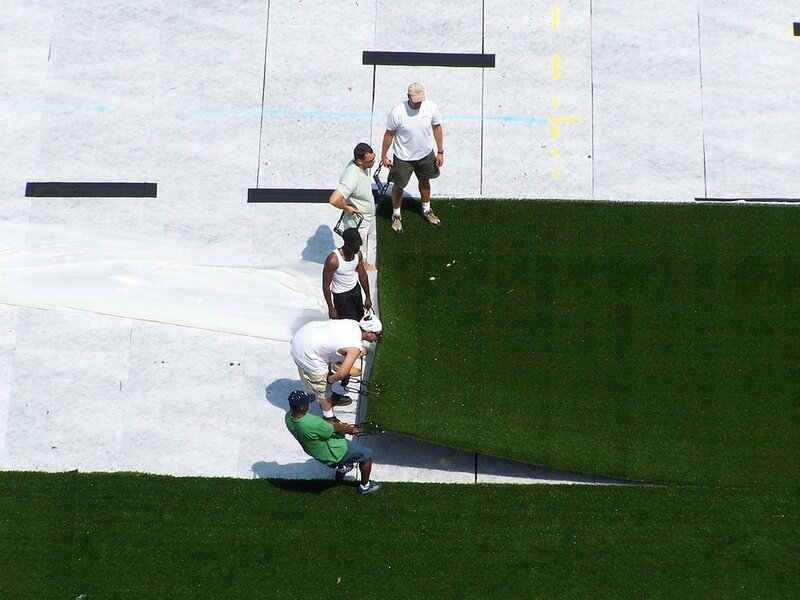 The multi-layered backing system in ForeverLawn artificial turf features recycled and renewable materials. The final backing layer is comprised of recycled plastic bottles from Project Yellowstone and Project Grand Teton, two innovative recycling partnerships with large national parks. A second layer features BioCel™ technology created from soybean plants--a 100% renewable resource. ForeverLawn synthetic turf does not harbor insects or contain allergens present in natural grass. This soft, resilient surface is great to play on, and won't leave grass or mud stains. We understand that when you decide to invest in artificial grass, you expect nothing but the best. 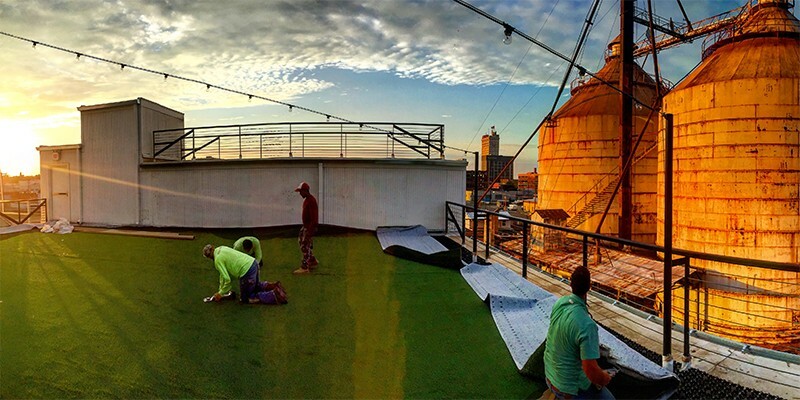 As the leading industry innovator for more than 10 years, ForeverLawn® is committed to continuously developing better products and pioneering the future of synthetic grass. First ASTM 1292 safety-rated grass system (Playground Grass™). First artificial grass designed specifically for dogs (K9Grass®). Unique backing featuring three layer system with final layer made from 100% recycled plastic. First product on the market with unique multi-colored blade structure and tan thatch (DuPont™ ForeverLawn® Select LX). First landscaping product with Alphasan® antimicrobial technology. First synthetic grass designed specifically for water parks (SplashGrass™).